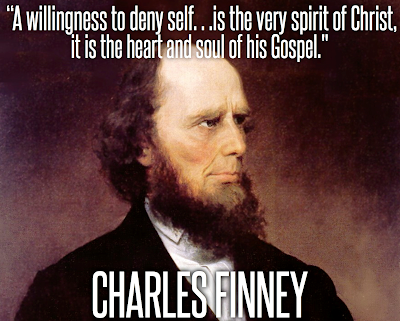 You do not understand the gospel or Finneys preaching. You fall into the same trap as this generation that salvation is apart from a life of holiness. Any faith or gospel that fails to free you from sin and love of this world cannot save you. Finney was one of the greatest preachers since the Apostles and I pray God would give us thousands of them. I reject the false gospel that saves a man apart from works. Faith that works by love. If you faith leads you to hold onto sin while believing you are saved,you have a abomination.